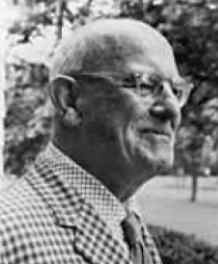 Pelham Grenville Wodehouse was born in Guildford, Surrey, as the son of Henry Ernest Wodehouse, a British judge in Hong Kong, and Eleanor (Deane) Wodehouse. Within the family, Wodehouse's first name was abbreviated to "Plum" and later his wife and friends also used this name. Until the age of four he lived in Hong Kong with his parents. On his return to England, he spent much of his childhood in the care of various aunts. Wodehouse attended boarding schools and received his secondary education at Dulwich College, London, which he always remembered with affection. His first paid article was Some Aspects of Game Captaincy. Wodehouse wrote it for a competition sponsored by The Public School Magazine. Wodehouse's father did not approve of his writing, and after graduating in 1900 he worked two years at the London branch of the Hong Kong and Shanghai Bank. Wodehouse started his career in the literary world first as a free-lance writer, contributing humorous stories to Punch and the London Globe, where he had a column called By the Way. Most of Wodehouse's stories appeared first serialized at the Saturday Evening Post. After 1909 he lived and worked long periods in the United States and in France. In 1914 he married Ethel Newton, a widow, whom he had met in New York eight weeks earlier. She had a daughter, Leonora, whom Wodehouse adopted legally. Wodehouse wrote for musical comedy in New York and for Hollywood, but viewed the film industry ironically. "In every studio in Hollywood there are rows and rows of hutches, each containing an author on a long contract at a weekly salary. You see their anxious little faces peering out through the bars. You hear them whining piteously to be taken for a walk. And does the heart bleed? You bet it bleeds. A visitor has to be very callous not to be touched by such a spectacle as this." (Wodehouse in Saturday Evening Post, Dec. 1929) Once he spent a week at William Randolph Hearst's estate and wrote: "I sat on [Hearst's mistress Marion Davies's] right the first night, the found myself being edged further and further away till I got to the extreme end... Another day, and I should have been feeding on the floor." Wodehouse's early stories were mainly for schoolboys centering on a character known as Psmith. Among his earliest novels were A Prefect's Uncle (1903) and Mike (1909). Following the World War I, Wodehouse gained fame with the novel Piccadilly Jim (1918). In 1924 Wodehouse had his major breakthrough with the The Inimitable Jeeves. Wodehouse had introduced Woorster and Jeeves in his early short story The Man with Two Left Feet (1917). The first novel centering on the characters, Thank You, Jeeves (1934), was immediately greeted as one of his very best. Wodehouse dedicated The Heart of a Goof (1926) to his daughter "without whose never-failing sympathy and encouragement this book would have been finished in half time." Of Bertie Wooster's relatives the most formidable was Aunt Agatha. Bertie's name was linked during his bachelorhood with several girls, but usually Jeeves saved him from many disasters. C. Northcote Parkinson wrote in his Jeeves, A Gentleman's Personal Gentleman (1979): "Bertie was under the impression that he had chosen Jeeves, approving the man who had been sent by an agency. But that is not what happened. Proust once remarked that, 'It is a mistake to speak of a bad choice in love, since, as soon as a choice exists, it can only be bad.'" In addition to his humorous novels and stories, Wodehouse collaborated with Guy Bolton in writing several popular Broadway musicals, notably Sally (1920), Sitting Pretty (1924), Anything Goes (1934), and Bring on the Girls (1954). Among Wodehouse's greatest lyrics is 'Bill', a hit in the musical Show Boat. And try to find the sunny side of life." Wodehouse spent the remainder of his life in several homes in the U.S. and Europe. During World War II Wodehouse was captured by the Germans at Le Touquet, where he used to stay when not living in England. He was interned in Berlin and naïvely recorded five interviews. Wodehouse depicted humorously his experiences as an internee and the interviews were broadcast by German radio to America. This made Wodehouse liable to charges of treason. Wodehouse was attacked in England, and he was not able to return to his home country for fear of prosecution. He was arrested by the French after the liberation of Paris and released through the intervention of British officials in 1945. After the war Wodehouse settled in the United States. He bought a ten-acre estate on Long Island in 1952, becoming an American citizen in 1955. By this time his political mistakes were forgotten, and Wodehouse was subsequently awarded a D.Litt. from Oxford University. He died in Remsenburg, Long Island, on February 14, 1975. Wodehouse received a knighthood a few weeks before he died. Wodehouse wrote nearly one hundred novels, about thirty plays and twenty screenplays. His first book, The Pothunters, a short story collection, was published 1902. The last, Aunt's Aren't Gentlemen, appeared 1974. Wodehouse also wrote his memoirs, Performing Flea (1951) and Over Seventy (1957). In the 1960's Wodehouse's stories inspired the television series The World of Wooster and Blandings Castle. Wodehouse Playhouse started in 1975, and in the 1990's Hugh Laurie as Bertie and Stephen Fry as Jeeves appeared in new television series. Wodehouse's book Piccadilly Jim was adapted into screen by Robert Z. Leonard in 1936, starring Robert Montgomery, Madge Evans, and Frank Morgan.